I’m a huge fan of home remedies! I know whenever I’m sick I’m putting together chicken soup with all the goodies. Turns out there is science to back up that one! My salves and balms are based on home remedies that really work. I make zesty vinegar (recipe below), bitters, cordials, all for digestion, as well as spice blends that fulfill a specific need at the time. Yes, your home cooking can also be your home remedy. I also like to call this my “Digestion Dressing” as it’s ingredients are so wonderful in aiding digestion. Onions are great internally and externally, internally they can help to increase circulation, and externally, either raw or bruised and in a poultice can help sprains and bruises, and inhale the aroma of a fresh cut slice of onion to clear the sinuses (now we know why we always cry when cutting Onions!). Rosemary aides the digestion in calming stomach cramps, and improving circulation – externally it can help prevent dandruff when used as a hair rinse. (Because there is some speculation that rosemary in large enough doses can help to bring on a late menstrual period, pregnant women should use caution and common sense before taking it). Dill is a great remedy for constipation, Thyme and orange are also beneficial in helping the digestion. 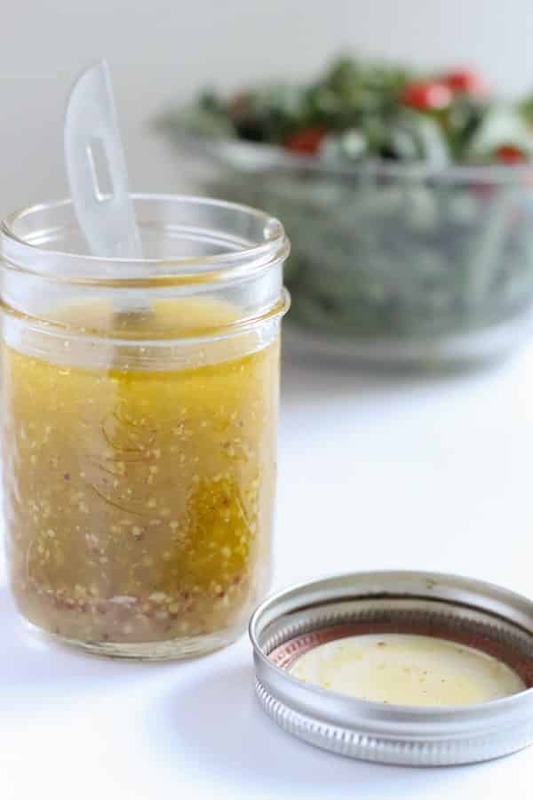 If your digestion seems to be sluggish, add some of this vinegar to your salad for relief! 1. Crush everything and place into a pint size jar. 2. Top with Apple Cider Vinegar. 3. Check frequently, top as necessary, but let set for one month. 4. Straining the herbs is not necessary after the month since they are all dried. If preferred, strain and decant to a bottle with cork top. (Vinegar will destroy metal). Any combination of herbs can be used. I’ve found it helpful that when using dried herbs, don’t mix fresh herbs into the vinegar. Either all dried or all fresh. For Constipation: simmer 1 teaspoon bruised dill seed in 1 cup boiling water for 10 minutes. Let cool to lukewarm then drink. P.S. Read below for an excellent article about great home remedies! Essential Oils are the newest ‘old’ health remedies and essential oils of all qualities – including fake – are flooding the market. Which is why its more important than ever to be sure you’re getting the real deal. As an herbalist, it is my passion to have the right information to give you, but its also my duty to the best of my ability. Please read this excellent article about how to know good essential oils from bad ones. I personally use essential oils for aromatherapy, in my salves and lotions, in my baths and so on. I use the highest quality and most organic essential oils I can find. Yes, it can be expensive, but you get what you pay for in my opinion. Always read carefully and if you’re unsure about the oil, ask an expert, or move to a brand you’re more sure of. As always, use common sense. Follow directions, for instance, many essential oils will cause damage to your skin if you don’t use a carrier oil. I loved the following article and got permission to share it with you. Please read and learn, some mistakes can be painful! Everyone makes mistakes; the important thing is that you learn from them, right? But perhaps more important, is avoiding them in the first place! If you’re new to essential oils, there is a bit of a learning curve, which means learning from others common mistakes can help you master their use quite a bit faster, avoid waste and potential hazards, and help you stay on track to reach your goals. With so many different types of essential oils (around 100! ), and so many varied benefits, it can be easy to get overwhelmed. You know you’d like to start taking advantage of them, but instead, you find yourself unable to make a decision as to which to buy. The best way to avoid this is to start out small. Choose just a few oils, perhaps three to five (here are the best essential oils for beginners), and work from there. Once you have them, don’t let them sit in a box. The sooner you get started, the sooner you’ll be able to reap all of those benefits. If you aren’t sure how to use them, start reading. There is a wealth of information online, all you need to do is dig. Just type in “uses for ABC essential oil” into your favorite search engine (or into our handy search form on the right) and you’re likely to find a wealth of advice. You might also talk to experienced oil users, and if you’re one of the few that don’t know any personally, you can easily connect with experts online too. Another great option is to invest in a good reference book, like Essential Oils Natural Remedies: The Complete A-Z Reference of Essential Oils for Health and Healing and Essential Oils Pocket Reference. Both are highly rated and available on sites like Amazon using the links above for less than $15. Another favorite is The Complete Book Of Essential Oils & Aromatherapy. Learn about one oil at a time, and before you know it you’ll have amassed a wealth of knowledge! You’re suffering from a sore throat, and you remember that your friend told you oregano essential oil was great for soothing it. You don’t remember how she said to use it, and as you’re not feeling very well, you don’t have the energy to find out, so you decided to dab some on your throat. Ouch! That’s a big mistake because oregano oil in its pure form is very strong and high in phenols, so much so that it must be diluted before use. Now you not only have a sore throat, but the inside of your mouth is bright red and burning. Oregano oil should only be used diluted with a carrier oil, like olive oil, using one part oregano oil to three parts carrier oil. Don’t learn this lesson the hard way. When an oil must be diluted, that doesn’t mean it can be mixed with water, because oil and water don’t mix. One well-meaning mom put her young daughter in a bath with eucalyptus oil to help relieve cold symptoms, thinking that since it was going into all that water, there wouldn’t be an issue. But as the eucalyptus oil sat on top of the water, rather than mixing in, it ended up irritating her child’s bottom. Children have thinner skin and are much more sensitive to the effects of essential oils which means they always need to be added to a carrier oil, such as almond oil, before putting into a bath. In some cases, essential oil should be avoided for use on babies or children altogether – if you aren’t sure, ask an expert before using. There is quite a bit of bad advice running rampant on the Internet as to how to use a particular essential oil. One particularly awful piece of advice is that lavender essential oil will make your eyelashes thicker and longer. Not only is this not true, but putting it on your eyelashes means a close to 100 percent chance that the oil will get into your eyes – obviously, not a good thing. If you try it, you’ll immediately know the reason why – it’s very painful and difficult to get out! While most people wouldn’t think of purposely putting an essential oil into their eyes, accidents can and do happen, easier than you might think. For example, you bring a little bottle of peppermint essential oil with you to the office, perfect when you need an afternoon pick-me-up. You open it up, take a big whiff, and put it down, feeling better already. But what you didn’t realize, is that some of the oil was on the bottle, and now you have it on your fingers. You rub your eye, and, ow! That stings! A lot. So what do you do for relief? As mentioned before, oil and water don’t mix, so rinsing your eye out with water isn’t going to help. What you need is a substance that is safe for use in your eyes, and one that will quickly emulsify the essential oil, which then allows water to flush it away. The answer is coconut oil, milk or cream. Use it on the affected eye as quickly as possible, and then you can flush it with fresh water. Always keep in mind that essential oils are highly concentrated. In fact, it takes over 150 pounds of lavender flowers, more than 250 pounds of peppermint leaves and at least 4,000 pounds of Bulgarian rose to make just one pound of their perspective essential oils. If you use essential oils on a regular basis, odds are, you’re someone who prefers to avoid medication when possible, or limits its use. When a medication is ingested, it has to be detoxified through the liver, and that process takes time and hard work for your organs, often resulting in toxic side effects. While essential oils are natural, the same holds true for them – while they don’t have the same side effects as a drug, just like a medication, each person’s body chemistry is different, and will respond differently to a particular oil, and the amount used. That means that the best approach is to treat essential oils like a medication – using them thoughtfully and sparingly. Sometimes it’s hard to admit that you don’t know everything when it comes to a particular subject. After all, it seems like your friend knows everything there is to know about essential oils, and she started using them about the same time you did. It’s often a matter of pride. But remember, none of us know everything, you’re not an essential oil guru and aren’t expected to be. Not posing a question is far worse than just guessing, and can lead to harmful consequences. So ask! You can talk to a friend you trust to be knowledgeable on the subject or look for a qualified expert. There’s never any shame in asking questions. While essential oils can serve as a wonderful, natural perfume, that’s not their main purpose as most offer medicinal properties. Don’t just pick out an oil because you like the scent – do your research first and choose oils that can help you to achieve your goals, whether it’s to be healthier, more beautiful or to serve as an ingredient in a homemade household cleaning solution. Many people enjoy the scent of lavender, but it’s important to know that using lavender essential oil offers sedative effects. That’s a good thing when it’s time to relax and get a good night’s rest, but not so much when you need to get to work or take care of other responsibilities. Peppermint, on the other hand, can boost your energy level, so inhaling its wonderful aroma is not the best idea just before bed. Once again, do your research before buying, and using. When it comes to essential oils, cheapest isn’t always best. It’s imperative that you purchase only high-quality oils that are 100% pure – otherwise, you’re wasting your money, to begin with, as low-quality oils don’t offer the benefits that a high-quality essential oil does. Poor quality essential oils, which means oils that have been distilled from poor crops, have additives, have been handled improperly or are old, are not considered therapeutic. You might as well be rubbing water into your skin – or worse, sometimes essential oils that have been adulterated can come with harmful side effects. Most vendors sell quality oils in sizes of 4 oz. or smaller, contained in a dark colored glass bottle with an eyedropper bulb. You should be wary of anyone selling oils in a plastic or clear glass. If you see the word “fragrance” or “perfume,” or the term “nature identical oil,” be aware that what you’re looking at is not a single, pure essential oil, even if the seller insists it’s suitable for aromatherapy. In fact, that’s a good clue that the vendor knows little about aromatherapy at all. Here at Natural Living Ideas, we recommend Plant Therapy Essential Oils for their high quality and fair prices. They are available to buy on Amazon from this page. Have you seen the Sway for Hilltop House? Brand New at Hilltop Herbals! I’m very pleased to announce this healing salve made entirely with my organically grown and pesticide FREE herbs. Healing Salve contains organic EV Olive Oil, Grapeseed Oil, Vitamin E, Plantain, Lavender and Yarrow. Lavender soothes and calms the skin, is anti inflammatory, anti bacterial, anti fungal and the aroma promotes relaxation. Plantain is one of nature’s super herbs, it soothes sunburn, rashes, eases itches and insect bites, will help to sooth poison ivy, and helps to heal wounds such as cuts, scratches, blisters and cuts. If you heat the whole leaf it can be beneficial for swollen joints when used as a poultice. Yarrow is very effective for eczema and dry skin, and helps to heal infection, and minor cuts and scratches. Also, packing a bleeding wound can help to stop bleeding. Got an itch, get my Healing Salve and apply liberally. Available in the Hilltop Arts Store and currently on sale for $6.50 (Normal price will be $10.00). Essential oils as a vital part of overall good health have gotten tremendous press lately. Everywhere one reads the benefits of one or another essential oil are being touted. I can’t count how many remedies and DIY solutions I’ve seen on Pintrest. I recently saw an article that debunks many questions and is in its entirety a very good primer on essential oils. The dawn of the Internet age opened up a whole new and ever-expanding informational highway that has liberated many and also, unfortunately, misinformed many. Anyone who wants to have a blog, website etc.. can have one and they can post just about anything they want to these sites. No matter how well intended these bloggers are, many are putting information out there that is incorrect, and sometimes even dangerous. Although essential oils are natural, don’t ever underestimate their power, to heal and even their power to harm. Essential oils should never be approached without caution and much understanding as to their safe application. It takes 150 pounds of lavender flowers to make just one pound of lavender essential oil. It takes 256 pounds of peppermint leaves to make one pound of peppermint essential oil. It takes thousands of pounds of roses to make 1 pound of rose essential oil. Just one drop of peppermint oil is equal to 28 cups of peppermint tea. The bottom line, essential oils are powerful and need to be handled with respect! The combination of growing interest in alternative therapies, including essential oils, combined with the Internet, has made it possible for some very misleading information to be published. This article will explore just some of the many myths around essential oils that people believe but are not true. Hopefully, this will shed some light on what is safe and not safe when it comes to the therapeutic use of oils. The truth is that there are numerous therapeutic grade standards. It is just hard to know which one to trust. These standards are simply internal standards created by the companies who develop the oils. It is possible that these standards do not include a quality control by a third party lab. With that said, it is critical to understand how the company defines “therapeutic grade” It could mean that the oil is pure or it could also mean something else beyond that purity. Essential oil can also be very pure but also be low quality. The reason for this is that making a judgement call on a quality oil takes years and years for experience – not just a lab and some equipment. While there is not one independent standard for therapeutic grade and not one set body that controls this standard, it is also not true to say that therapeutic grade oils do not exist. However, where you must use extreme caution is in believing marketing jargon used by oil companies. The plain and simple truth of this one is that if you put any substance on your skin and it causes a rash or burns, it should not have been put on your skin in the first place. This is an adverse reaction, not a harmless detox reaction. Clearly a burn, rush, or any other type of abnormal issues with your skin indicate an irritation. In addition, a detox reaction occurs when something is taken away, not added. So, if you find yourself with a rash or a burn after using an essential oil on your skin it is your body saying to stop! This is one of the reasons why a patch test is recommended on a small area before using any substance on a larger area. In addition, it always recommended that you dilute an essential oil in a carrier oil before using on your skin (see below for more information on how to do a patch test). This is just another very ridiculous claim. Oils may seem to last for a long time but in reality, they will eventually go bad because of oxidation. Citrus oils that contain a high level of limonene – a substance that oxidizes pretty fast, destroying the fresh citrus odor. In addition, wax will form in the citrus oil over time. It is best to use the oil within one year if you can. Blue oils also such as German chamomile, blue tansy, and yarrow breakdown over time. To slow the breakdown, be sure to put blue oils in the refrigerator and keep only a small amount of airspace in the container. The internal use of many essential oils is not safe unless under medical supervision. A small amount of essential oil is the equivalent to about 10 – 50 cups of herbal tea. There is a certain lack of guidelines and safety precautions when it comes to ingesting essential oils. Don’t make the mistake of assuming that just because an essential oil has the same name as a familiar herb that it is safe to ingest. The reality of this statement is that some of the most dangerous essential oils bear the name of common herbs. Herbs and their essential oil counterparts are not anywhere near the same. While you can liberally apply basil to your pasta, you can not liberally ingest basil essential oil. Be very careful to jump to the conclusion that just because an oil has a familiar name of an herb you love that it is ever safe to ingest it. Essential oils are clearly as potent as pharmaceutical drugs and since you probably would not go ingesting a whole bunch of pills without some caution, you should most definitely, give the same respect to essential oils. Again, when it come to ingesting oils, be sure that you are working with a certified and reliable practitioner that can supervise your use. The truth is that many oils are very dangerous to use on children five and under. Here is an excellent article on understanding how essential oils impact children. Be sure to consult a professional before using essential oils on children. Citrus oils will always make your skin sensitive to the sun because they contain particular constituents that increase the damage caused by UV light. This increased sensitivity can cause blistering, burning and discoloration. Oils. that increase the risk of UV damage include lemon, lime, orange, grapefruit and bergamot. The human body has been designed to protect us from things that may harm us such as bad smelling food that may be rotten. This built-in protective mechanism (to smell odors) is critical to our survival. The opposite is also true, that we can be conditioned to like things that are not good for us such as the pleasurable and alluring smell of hot donuts or french fries. The food manufacturers have a great knack for manipulating natural flavor enhancers to make “bad” food seem good. When it comes to essential oils, you may not like the aroma initially because it is new to you and you have no previous experience with it. Give yourself time to become acquainted with oils that may seem offensive at first. However, always listen to your body if it is telling you to stay clear of something. Like just about every other liquid, essential oils will freeze if the temperature is cold enough – water has nothing to do with keeping this from happening. In fact, many oils will freeze in your household freezer and some even in your refrigerator. Some oils are even solid at room temperature. If you want to use essential oil in a bath, be sure to first emulsify it. The best substance to use is sesame oil or milk. If you don’t emulsify the oil it won’t disperse but will float on the top of the water and enter the skin directly. When the oil combines with the heat and water in this way it can cause dermatoxicity. Never use undiluted essential oils on your skin. There are some oils that are generally considered safe to use on unbroken skin including lavender, chamomile, and rose, however, it is still best to dilute them. The exception to this is if you are using oils under the strict supervision of trained professional. Dilute oils with a carrier oil such as almond or jojoba. In addition, always do a patch test with the oil on a small area of skin before using it more widespread. To do a patch test mix a little bit of essential oil/carrier oil at twice the amount of concentration that you plan to use. If you are going to use a 3% mixture of oil, mix it at 6% using six drops in a teaspoon of carrier oil, or 3 drops to ½ teaspoon of carrier oil. Put a couple of drops of the concentrated oil mixture on a bandaid and place on the inside of your arm. Check for irritation after 48 hours. If the skin under the bandage becomes irritated, red, itchy, swollen or develops bumps or blisters, this is a reaction you don’t want. Never store essential oils in plastic containers. Many oils, in their undiluted form, can eat right through plastic. Even when you do dilute them for personal care use or even household cleaning, it is best to store them in a glass bottle. Be very careful with undiluted oils around wood finishes as well. Pregnant and nursing women need to be very careful when using essential oils. These are just a few of the oils that are considered unsafe for pregnant and nursing women, cedarwood, cinnamon, sage, clove, ginger, jasmine, lemon, nutmeg, rosemary, ginger and chamomile. Check with a qualified practitioner before using any oils. Remember: Essential oils are potent and although highly therapeutic, can be dangerous if used incorrectly. From Natural Living Ideas, http://www.naturallivingideas.com/essential-oil-myths/ Take a moment today and sign up for their newsletter! A recommended read! A few months ago I was approached by a dear friend who convinced me (it wasn’t difficult!) to become an Avon Sales Representative. I’ve loved Avon products for forever, and even sold them back in the early 90’s. But I’ve felt a quandary in my mind… how can I justify selling Avon when I’m an Herbalist…? Well, my ultimate goal in life is to help people. It is my ‘silver bullet’ so to speak. I’m passionate about helping people in all aspects of my life – in my Virtual Assistant business, I’ve been helping people run their businesses for over 19 years; in my herbal business, Hilltop Herbals, I’ve felt called to help people in a more basic and natural way, instead of popping another chemical, I’m helping them find relief for some of their ailments safely and naturally. And when I’m photographing someone I’m helping them to create a memory that will last in a beautiful way. So, why not help people feel more positive about themselves? Why not offer them products that will enhance their beauty – because Everyone is beautiful – and when we apply makeup we’re only enhancing this. Why not help people find skin care that makes them feel pampered? So, I’m the Herbalist Avon Lady! I will still sell my herbal remedies and my all natural salves but I won’t branch out into cosmetics as I thought at one time I would. Avon cosmetics and skin care products are painstakingly researched and there is proven science behind them. They are superb and affordable products and I’m so proud to be able to represent them! In my heart, I know I’m doing the right thing by selling both my herbal remedies and Avon. Avon doesn’t offer a migraine remedy, but I do! I don’t have anti-aging products, but Avon does! For me, this is a very comfortable fit. Now, I’m blessed to be able to take care of both sides of your needs – let me help you! It’s a Win-Win for everyone! New Giveaway in time for Christmas! Our latest giveaway will be BIG! We are giving away one each of the recycled glass art pieces! All to be given to the lucky winner who signs up for our emails & newsletter before the deadline of November 15th. The prize will then be shipped or delivered (Locally only) on November 16th. Sign up to receive our emails today! (Sorry, current subscribers are not eligible since they were part of the last drawing).